Anne Dixon at Camper & Nicholsons sends details of Jeremy Comport's latest central listing, the 33.5m motor yacht Revitality. 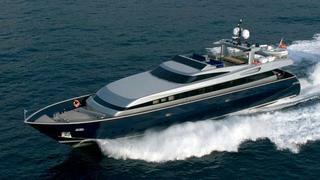 An all-aluminium superyacht, she was built by Baglietto in 2005 to a design by Francesco Paszkowski. RINA classed and MCA compliant, Revitality accommodates up to 10 guests in a master suite and four guest staterooms. Twin 2735hp MTU engines power her to a cruising speed of 27 knots and a range of approximately 700 nautical miles. Revitality is on the market asking €5.8 million.